Like the music industry where a glut of new product miraculously arrives in time for the fourth quarter holiday season, a slew of new tech toys and applications are also coming to the party. First on the list is Verizon’s announcement that it will begin offering Apple’s iPad on Oct. 28. Verizon compatible technology will be absent from the iPad however, so the carrier will bundle it with it MiFi Mobile Hotspot. Verizon Wireless will offer three iPad Wi-Fi + MiFi bundles: the iPad Wi-Fi 16GB for $630, the iPad Wi-Fi 32GB for $730 and the iPad Wi-Fi 64GB for $830. Verizon will also introduce a special monthly access plan for iPad customers of up to 1GB of data for $20 a month or a 5GB plan for $60 per month. Earlier this week rumors grew loud that iPhone and Verizon would arrive at the 2011 prom as tech’s newest couple. 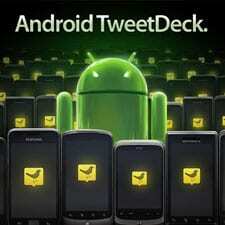 Google’s Android mobile operating system is now commands a substantial market share, so it is about time that Twitter app Tweetdeck has finally released a version for the little Android robot. Supported are Twitter plus Facebook, Foursquare and Google Buzz. Tweetdeck says new versions of its app for iPhone and iPad are also in the works and will employ all the new features in the just released Android version. Another pairing of convenience is Skype and Facebook. Earlier this year the two began to interconnect, facilitating calls to Facebook friends using Skype, but now Skype Version 5.0 has brought slick new features and improvements. Features include up to 10-way calling plus many cosmetic and design improvements.